I wanted to share this little baking tip with you - spray the measuring cup or spoon with Pam before you measure molasses or vanilla bean paste, and then it won't stick when you pour it out. See what was left when I measured my molasses this week. My mom brought us some of the limited edition Gord Downie Courage beer from Boxing Rock and we cracked it open this week. We really enjoyed it, thanks Mom!! We had a big snowfall in Toronto this week (big = 3 inches or so) and it may even stay until Christmas with the expected cold temperatures. 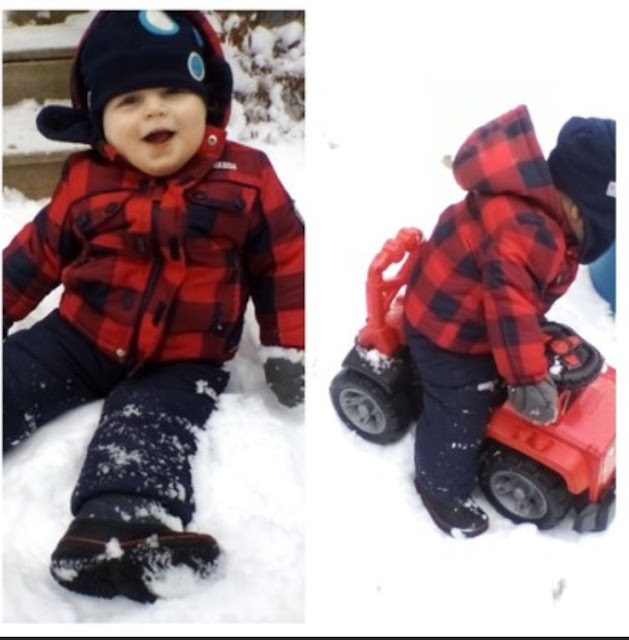 This is Q at daycare enjoying it! 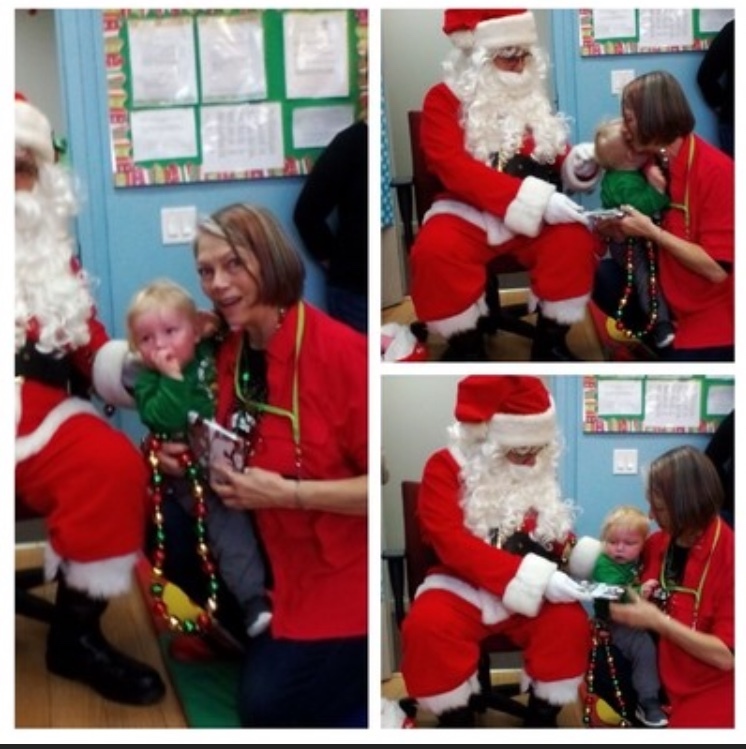 Speaking of Q, he had his Christmas party at daycare this week and Santa was there. Q was not a big fan however, he stayed close to Ms. Bonnie. E has been singing up a storm this week, he is in the school choir and the church choir. The church choir has a concert tonight, and the school one is next Tuesday. 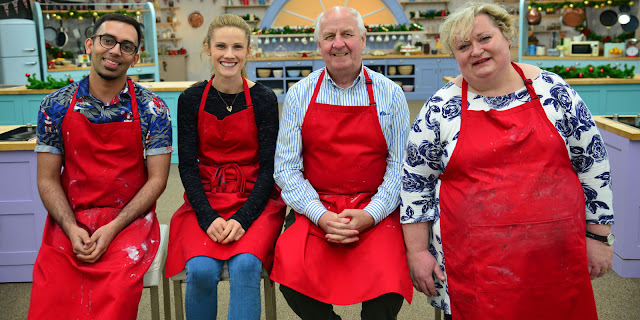 We love The Great British Bake Off and this week CBC played on of their special holiday episodes. I didn't know any of the contestants but it didn't matter, they were all adorable, plus Mary Anne sounded exactly like Mrs. Padmore from Downton Abbey.